Well, summer is in full swing and I thought that it would be a good idea to bring everyone up-to-date on what has been going on in my little literary world. As those of you who receive my free newsletter are aware of, back in December 2017, I was diagnosed with cancer attributed to the 9/11 rescue & recovery effort after the terror attack at the World Trade Center. As a result, I had surgery this past June. Obviously, the lead-up and post-surgical recovery had a dramatic impact on my writing, but I am happy to say that I am back in the saddle again. For fans of the James Maguire series I wanted to let you know that I have eight chapters already written for book five in the series. I had originally intended on a late summer / early fall release, but because of the above issue the timeline had to be adjusted. I’m now planning for a winter release and I thank you for your patience. Another contributing factor was a book project that I had originally started in 2013. This is something very close to my heart, since it deals with the 9/11 terror attack. I am proud to announce that I have completed this book and hope to release it within the next few weeks. This book, titled: Where Was God? Is based upon my personal spiritual journey, as a 1st responder, to determine whether God was absent on September 11th. 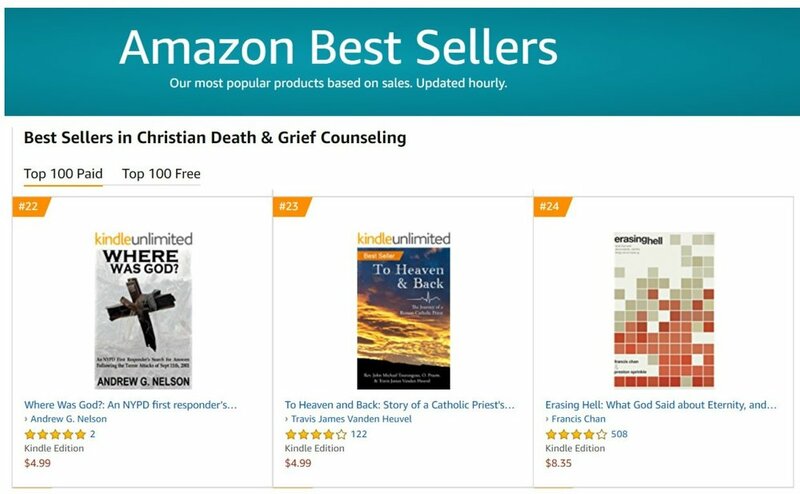 If you have ever wrestled with this feeling, or if you have even wondered if God is out there, then I think you will truly appreciate this book. Not only do I address the issue of where God was on 9/11, but I also use the investigative skills I honed, as an NYPD detective, to investigate the existence of God. Back to School Special: Well, soon it will be that, ‘most wonderful time of the year.’ With the little urchins heading off to school, I can’t think of a better time to reward long-suffering parents, grandparents and even folks who just know someone with kids, with a great book deal. So from August 22nd through August 28th I will be running a Kindle Deal on my first book, Perfect Pawn. Beginning on the 22nd you can get it for only $0.99, but act early because the price will slowly increase over the course of the week. Perfect Pawn is a great book to have available in your e-reader for the Labor Day Weekend. Once again, don’t forget to sign-up for my free NEWSLETTER.